Who’s that girl? Idina is going undercover to uncover Broadway’s next superstar on the new season of CBS’s “Celebrity Undercover Boss”! Tune in May 18 at 8:00 PM ET on CBS! From CBS: The nation’s best singers, athletes, models, and business icons are about to embark on talent searches to pay it forward to deserving yet-to-be-discovered individuals—on the very first season of Celebrity Undercover Boss! From the same team that brought you the Emmy Award-winning Undercover Boss, this special celebrity edition will premiere on Friday, May 11 at 8/7c on CBS and CBS All Access as celebs at the top of their chosen fields go undercover to find talented people and make their dreams come true. 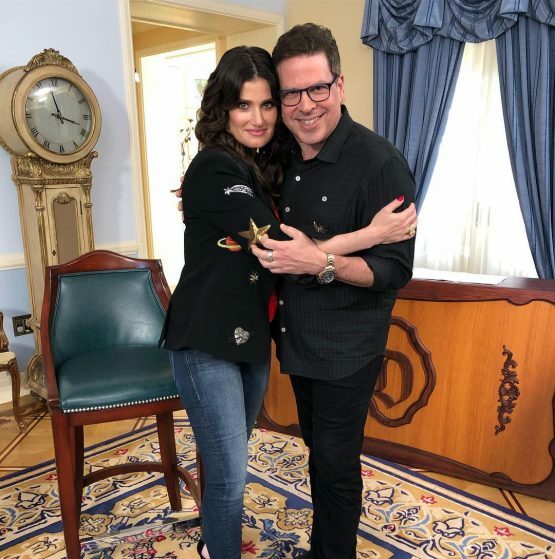 As part of a Disney-centric competition, Idina will join “American Idol” Sunday, April 29, as a guest mentor for the contestants! Tune in LIVE on Sunday at 9:00PM ET / 6:00PM PT!